Chaplains wear two hats when they respond to domestic violence: they represent both the medical community and the larger faith community. This webinar will review the basic dynamics of domestic violence, followed by an exploration of family violence as a health care issue and a crisis of faith. A bibliography of multifaith and faith-specific resources will be provided. The spiritual and medical issues presented by domestic violence create unique challenges for chaplains. This session will provide participants with tools and information to assist victims appropriately and effectively. Any chaplain who feels underequipped to handle the complexities of domestic violence referrals, especially those working in acute care medical settings. Rev. Kathryn Willoughby Weed MDiv BCC is a staff chaplain at St. Francis Hospital in Charleston, WV. She has served on the hospital's Domestic Violence Committee, and represented the hospital in a 10-state project on domestic violence and health. She was a member of the YWCA's Resolve Family Abuse Program Advisory Board and is a founding member of Domestic Violence Elimination (DOVE). She has presented workshops on domestic violence for community and faith groups. She earned her master of divinity degree from Fuller Theological Seminary. 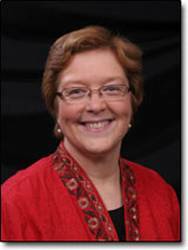 A board certified chaplain member of APC since 1996, she has served in state leadership roles and on the Membership Services Council as the coordinator of state representatives.